Continuous up time of electrical power distribution systems is absolutely crucial for mission critical operations such as your data center. A momentary power interruption can mean huge losses. Starline Track Busway provides the unique, ideal solution for the needed reliability. As computer systems, Internet, intranet, extranet and e-business volumes increase, so does the demand for reliability and flexibility. Applications include server farms, Internet hotels, in-house corporate data centers, computer rooms, banking and securities operations, computer manufacturing & testing, and all mission critical facilities. Today, many facilities have dual busway runs of Starline Track Busway installed, for redundancy in order to ensure more “nines” (99.999%) of up time. 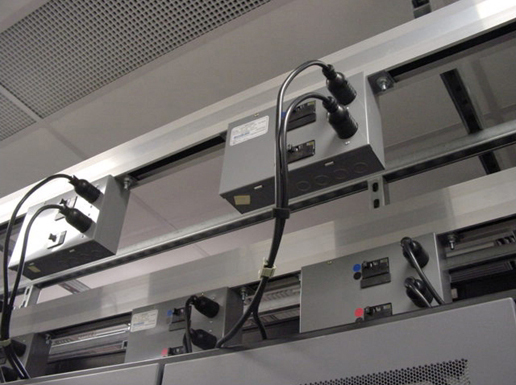 And the trend towards higher density of computers is handled easily, by installing Starline Track Busway plug-in units as close together as desired, and multiple outlet units can be supplied as needed. The ability to scale up or down that comes with Starline Track Busway requires minimum investment dollars, improving cash flow and lowering costs. A data center can be built out in phases, starting with a fraction of the total facility capacity, and adding more busway, as the facility utilization increases. 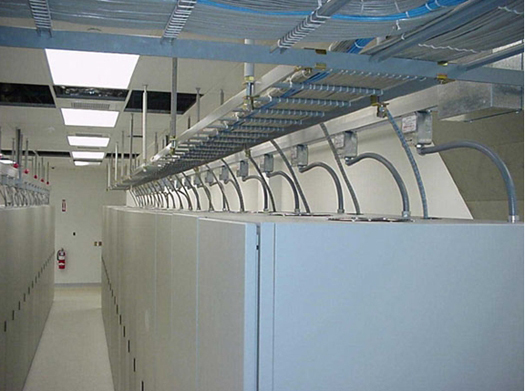 Starline Track Busway offers an add-on system for data centers, the current monitoring system (CMS), to help safeguard installations, and provide useful information regarding electrical current levels and consumption rates. The CMS enables real-time monitoring of ampere loads on a given run of busway, to give warning before loads reach critical levels, or individual plug-in units, for energy consumption measurement.